Roses are a splendid way to show you care. 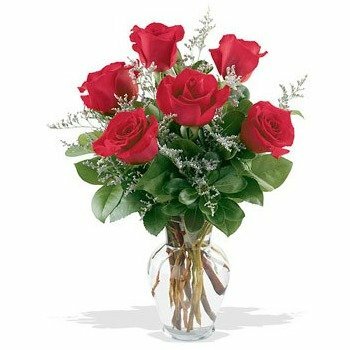 One half dozen roses are arranged amid a soft cloud of baby's breath and complimented with salal and leather leaf. * Great Job on the product and flowers my wife loved them, not only because they were from me but also because they were very beautiful and nice decorated. Very proficient on the job and skill designed on my purchase.